If you haven't experienced digitally printed fabric now is your chance! 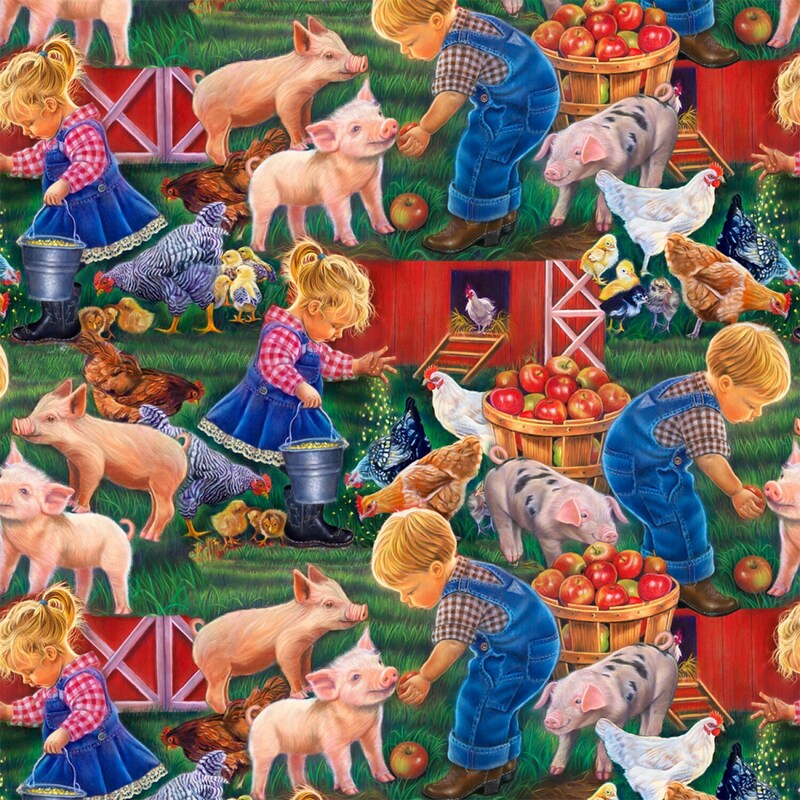 Just in at The Quilted Nursery Fabric Store is this delightful farm children print which has been digitally printed on quality cotton fabric. The colors are so vibrant and clear it seems as though you are looking at a photograph. This fun print depicts delightful farm children playing on the farm with pigs, chicken and handing out their food. Beautiful shades of red, gold, yellow, green, and blue. Don't miss your chance to create something amazing! All fabric from The Quilted Nursery Fabric Store is cut directly from the bolt in continuous yardage. We now offer fractional yardage cuts for your shopping convenience. All shipping overages are refunded on shipment of fabric. Same day shipping except for Sunday and holidays! Beautiful fabric print and colors. Part of a farm theme quilt. Fast shipping.Beautiful,good quality fabric.Thank you.